CLASH (Collective League Of Adrenaline, Strength, and Honor) Wrestling was founded in January 2008 and runs wrestling shows throughout Southeastern Michigan on a monthly basis. CLASH Wrestling features an innovative style of professional wrestling and non-stop action that the whole family can enjoy. Learn more about CLASH Wrestling with the information provided below. If you have additional questions, please email us at contactclash@gmail.com. Live Events: Domestic touring; an abundance of the events hosted by CLASH Wrestling fall in this category. Admission is $15. Presale tickets can be purchased, exclusively online, for $12 (Individual) or $40 (4 Pack). Merchandise (T-Shirts, etc): Available via CLASH’s official merchandise store on clashwrestling.com and at all CLASH Wrestling Live Events. CLASH Wrestling, LLC is in complete compliance with the Limited Liability Act of Michigan, with the purpose(s) to promote and run professional wrestling shows in the State of Michigan. 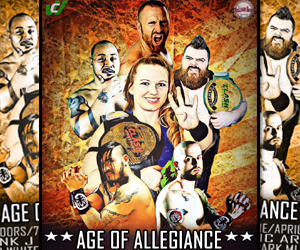 CLASH, abbreviated for Collective League of Adrenaline, Strength, and Honor Wrestling provides a unique innovative style of wrestling and non-stop action that the whole family can enjoy! Pre-show tickets and tickets purchased at any live event presented by CLASH Wrestling LLC are non-refundable. However, T-Shirts and other merchandise sold at our Live Events may be exchanged with something of equal value on the same day of purchase with no damage to the consumer.